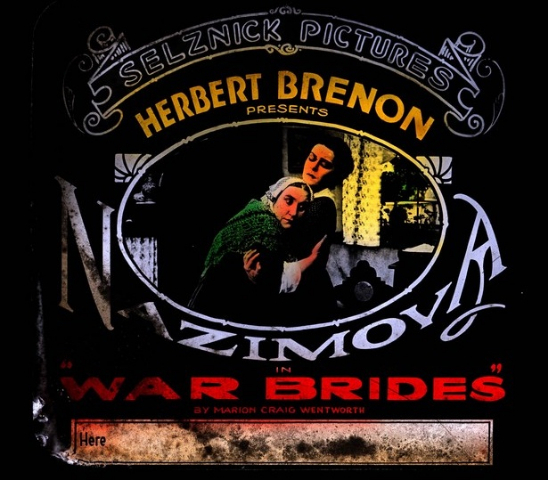 "War Brides" Alla Nazimova's first big hit. The rich and juicy life of a Broadway and Hollywood actress we should all know and don't is being given a tour-de-force solo performance by Romy Nordlinger. Glamorous in black, with a swooping stole, Nordlinger performs before stills and footage of the actress in action, commenting on the life to give us double visions, live and filmed, and doubled down insights. Alla Nazimova arrived in New York in 1916 and became known as a political subversive, who had Emma Goldman as her press agent. Nazimova got stuck in femme fatale roles until she took the town by storm as a feisty feminist in "War Brides." The producers, capitalizing on the success of the play, brought her to Hollywood to make the film. Quickly she became art director, costume designer, director, editor, film actress, producer, screenwriter, set decorator, theatre actress,and title writer. Her career derailed when she made her lesbian tastes too clear. She was known as the founding mother of Sapphic Hollywood. However, the studios still allowed her to produce a film with her pal, Rudolph Valentino. 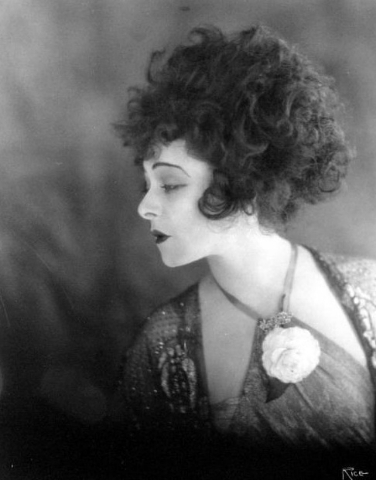 Nordlinger is glamourous and bright as Nazimova, yet she captures her sensitivity and grit as well. Nazimova built one of the first Hollywood megamansions. She called it Garden of Alla. When times got tough she divided it into 25 lots. A hotel was built there and she would end her life renting a villa at the hotel. Indominitable, she took her licks with high spirits. Nordlinger's precis of the life leaves us looking forward to a more expanded version, perhaps in play form. 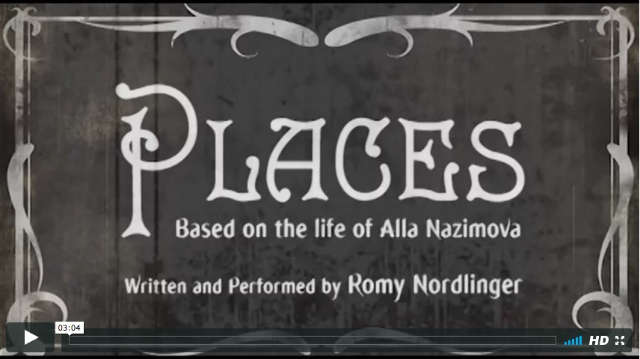 In the meantime, Nordlinger and Nazimova give us a surprising and moving evening of theater.